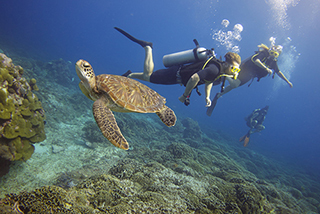 Fascinated by the wonders of the aquatic world but never tried scuba diving before? 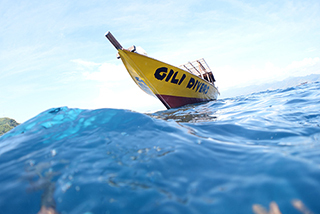 Take an opportunity the explore the wonderful crystal clear waters of Gili Islands with our half a day Introduction Dive program. Explore a vast variety of amazing dive sites just minutes away from our beach front dive center. We offer morning, midday and afternoon dives to 5 different locations daily. Inquire about our exciting night dives too! Get your Open Water Diver license just in 3 days! This course will get you a life long scuba diving certificate down to 18 meters. 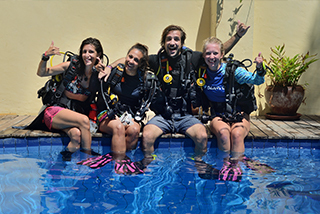 The Open Water Diver course includes theory, a training dive in a swimming pool and 4 open water dives. Bring your diving skills to another level! Go deeper, perfect your buoyancy, dive at night…you’ll choose. The Advanced Open Water Diver certificate includes 5 adventure dives. You can get AOW certified just in 2 days.